Nash Bond is jointly instructed to sell 52 Poland Street in Soho. 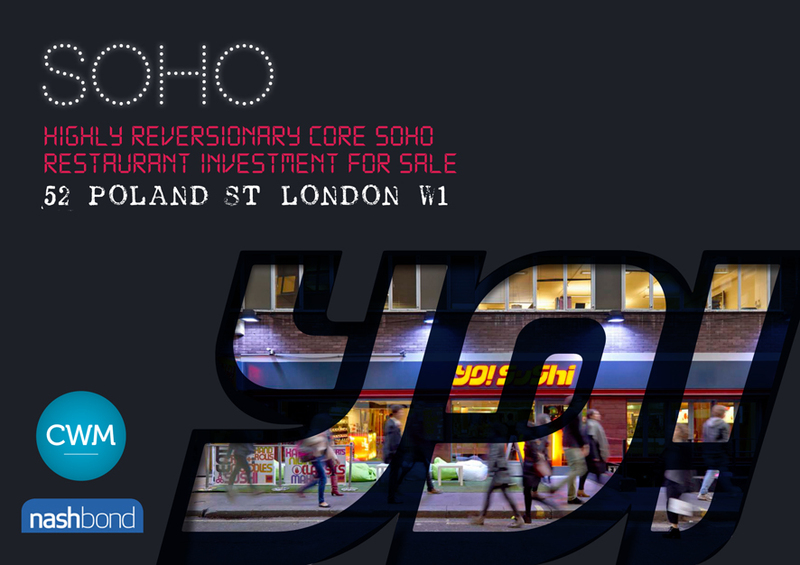 The restaurant investment comprises 5,460 sq ft over ground and lower ground, let to Yo Sushi! until 2026.